Yes, I’m overweight. Yes, I could stand to lose a few pounds. But I don’t diet. Not anymore anyway. I have yo-yo dieted nearly my entire life. I’ve done low carb, Jenny Craig, Weight Watchers, calorie restricting, obsessive exercising, Slim Fast. I even tried a no-wheat, gluten-free and an anti-inflammatory diet after I was diagnosed with an autoimmune disorder. The list goes on and on and on. The only thing I haven’t done is surgery. I have definitely lost weight on those diets and sometimes I even kept it off for a few years. But, you just can’t fight genetics. Well, you can for a while. And you’re usually miserable while trying (well, I was). However, at the time, I would have never admitted that. I would try to sell everyone on my particular diet du jour. “Oh my gosh, have you tried Atkins? It’s amazing. You can eat meat ALL the time and I’ve lost SO much weight!” Fast forward two years and you’d hear me saying “Man, I just really missed chips.” LOL. We could be the same person. My weight has been an issue all my life. Like you, I have tried every diet out there, and while they worked for a while the regimen just wasn’t sustainable. Now I have decided to stop stressing over my weight and just try to eat a little better. I’m happier, and as a bonus, I have lost a few pounds. So now I am going to make that luscious Creamy Ranch Chicken and enjoy it! Good for you!! I too tried lots of diets and guess what? Just cutting back on portions but eating real food has made a big difference. I’m still somewhat overweight, but it works for me. I love your recipes and I know how or where to cut calories and/or fat (if I have to or actually if I want to, lol). Thanks for all your hard work! Yes!!! Thanks for your honesty about food (diets, unhealthy, what be it!) Mother of 4 looking for easy, delicious, affordable meals. 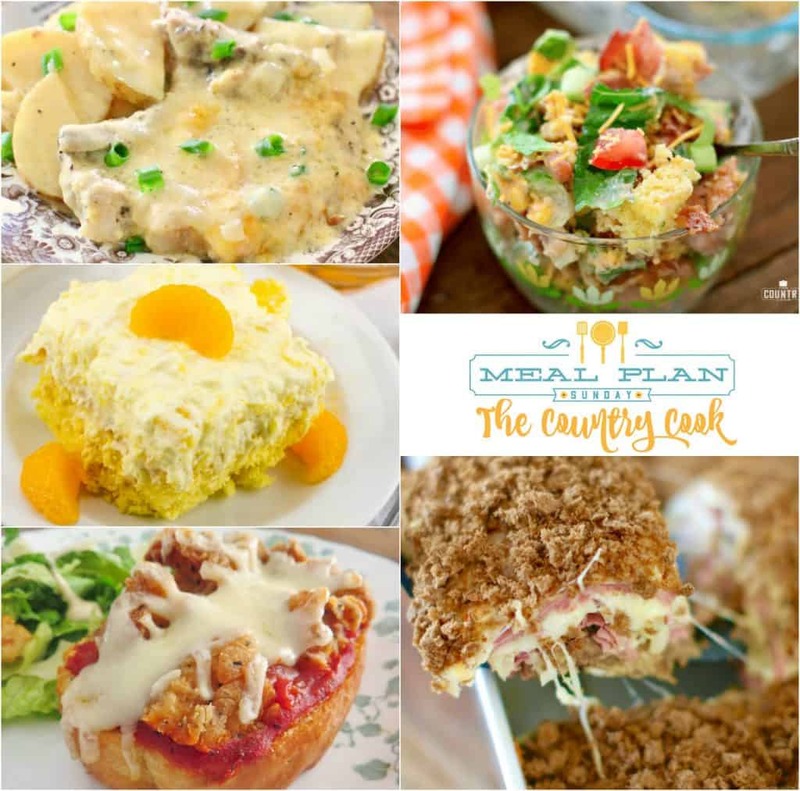 You are absolutely right, there are tons of other blogs/websites geared toward “healthy”/restricted meal planning (although I don’t know any off hand! ????) p.s. love your site!!! I am with you all. In April I was diagnosed with stage 2 HER2 positive breast cancer. It made me realize that life is short…I’m eating the dang cake!! Dear Brandie, your honestly is refreshing and instructive for all of use. I’m 66 yo. I have discovered that the notion of ‘ideal’ is BS. If we are honest with ourselves none of us are the ideal weight, have ideal children, ideal marriages, ideal jobs on and on. I have learned to embrace life with all the messiness. Honestly I laugh a lot more and have more fun. Love your blog. Read it faithfully on Feedly. Thank you so much for your honest and heartfelt words, Brandie. Too many people go through life feeling like a failure because they can’t look like the size 0 models they see all the time. We’re REAL people, and most real people don’t look like that anyway. Adjusting portions can make a big difference without sacrificing yourself in the process. Please keep up the great work. We love you (and us) as you are! I love you and I love your recipes! I’ve been following you for years now and I think you’re gorgeous. I normally don’t reply to on-line comments. But I have to thank everyone who commented concerning their weight trials and tribulations. My daughter has fought her weight all of her life. Our doctor finally told her to “Stop!!! !”, that she was healthy and that was what mattered. It’s so nice to know there are others that sound just like her. Thanks again. Amen sister! I could have written that first paragraph! SCORE!!! Love hearing that Patricia! Anytime we can make our spouses say something more than “OK” or “Good” is always a good day. Ha! Love it!